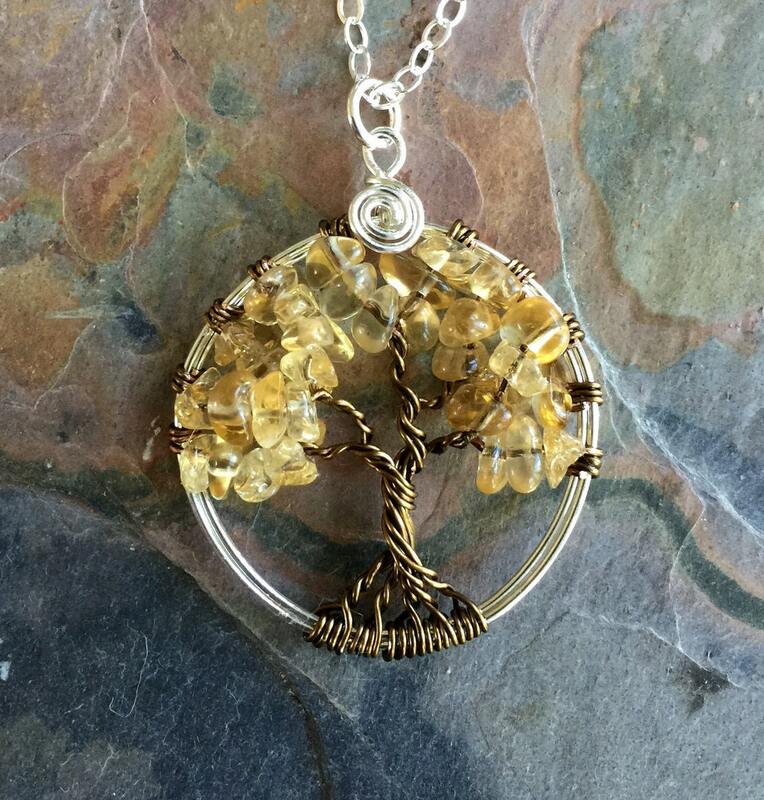 This listing is for the Citrine Tree of Life Necklace with your choice of chain. 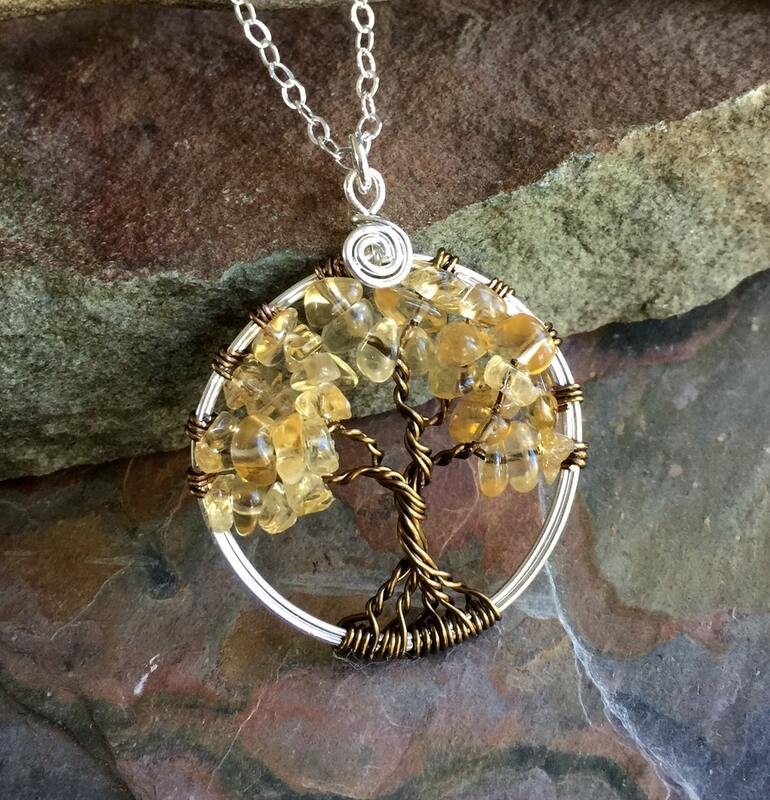 This beautiful Mini/Petite/Small golden honey color Tree of Life Pendant is hand wire wrapped with genuine Citrine gemstone using .925 Sterling Silver wires for the outer ring and tarnish resistant vintage bronze wires for the branches. It is a beautiful gift to give or receive! ~~The pendant measures about between 1.30 to 1.35 inch in diameter. 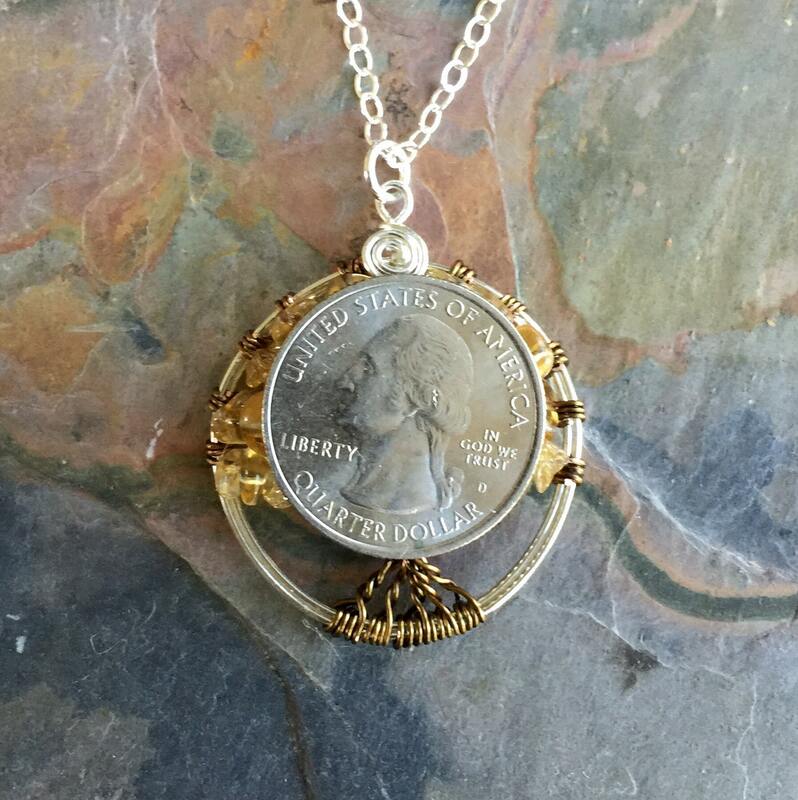 The US quarter coin is about 1 inch(25mm) in diameter. 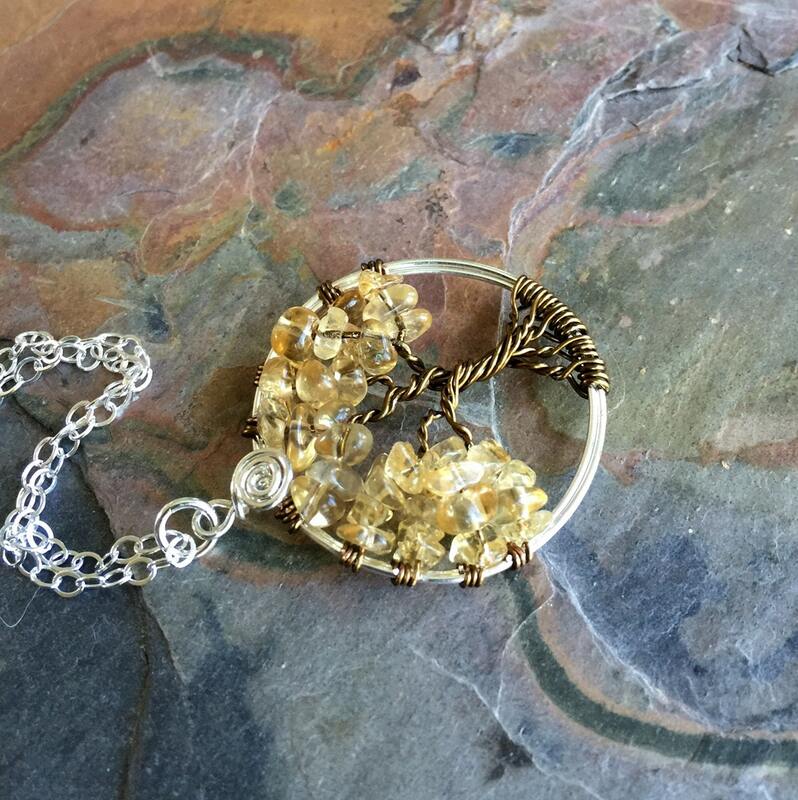 ~~The pendant comes on an your choice of cable chain. This pendant was even more beautiful in person!! Everyone that sees it live it and asks me where I got it! This was gift for my Mother-in-law. While I didn't get to see it in person, she did call me gushing over how beautiful it was! Shipping was very quick too!